2019 Summer Special Hot Deals! "We are thankful for all our wonderful customers." Photos at: Smathers Beach, Ft. Zachary Taylor State Park, Lazyway Lane, Duval St., Southernmost Buoy Marker, Mallory Square, Dingy Dock, South Roosevelt Boulevard, Butterfly garden at Truman Waterfront. ​ through any Florida court. ​When you need to tell your spouse that your love for them is just as strong as ever, there’s only one way to really communicate that level of commitment: a vow renewal at Key West. All of our wedding packages are available to those seeking vow renewals, with the obvious modification that a marriage license isn’t needed for spouses already possessing one. 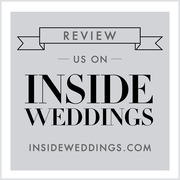 ​Our officiant is professional and experienced, so you are guaranteed to be welcomed and guided through the ceremony just as smoothly (perhaps even more so) than your first time being wed. For those who want to redo their wedding in the kind of highly desired destination that wasn’t available the first time, or for those who simply want to redeclare their love for the one who means the most to them, Conch Concierge Wedding Services is the place to go for Key West vow renewal. Conch Concierge Weddings is Michael and Rasa. A husband and wife team expertly offering destination wedding services to romantic couples and thier guests. Our simple packages offered on ConchConciergeWeddings are based on the time of day and amount of photography time included. From 10 minutes to 1 day, from our Key West "Barefoot " ($ 295) to our Paradise ($750), each includes officiant and photography time. Some also include tropical or wild flowers and complimentary transportation from your Key West hotel to the ceremony site. All include our special loving touch. beautiful Ivory Antique Lanterns placed so beautifully for your ceremony. Also our 50 feet white carpet goes down with blush roses petals .